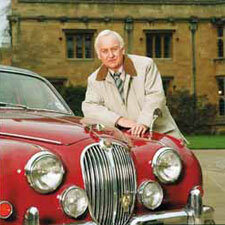 Inspector Morse: Mystery and Suspense on Television. 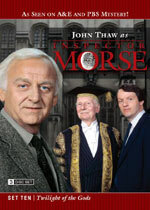 The Inspector Morse mysteries, based on characters created by Colin Dexter and set in and around Oxford, was a series produced in the UK. 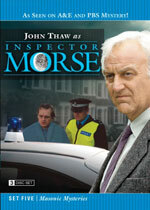 28 episodes over 7 seasons aired from January 1987 through January 1993 and starred the late John Thaw as Detective Chief Inspector Endeavour Morse. Five special episodes aired between 1995 and 2000. 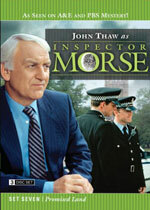 Notes: Includes 3 episodes that originally aired in 1987. 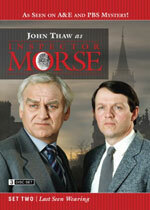 Notes: Includes 3 episodes that originally aired in 1987 and 1988. 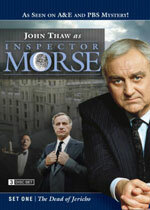 Notes: Includes 3 episodes that originally aired in 1988 and 1989. 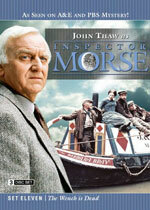 Notes: Includes 3 episodes that originally aired in 1989 and 1990. 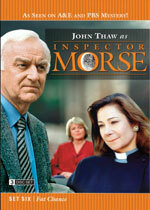 Notes: Includes 3 episodes that originally aired in 1990. Notes: Includes 3 episodes that originally aired in 1991. 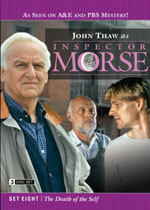 Notes: Includes 3 episodes that originally aired in 1991 and 1992. Notes: Includes 3 episodes that originally aired in 1992. 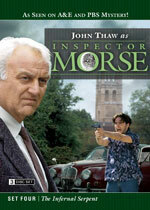 Notes: Includes 3 episodes that originally aired in 1992 and 1993. 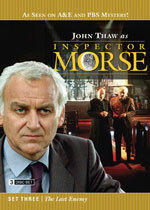 Notes: Includes 3 episodes that originally aired in 1993, 1995 and 1996. 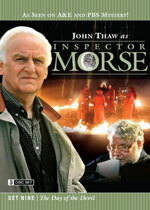 Notes: Includes 3 episodes that originally aired in 1997, 1998 and 2000.